Blog Is It Time For A Garden Makeover? Is It Time For A Garden Makeover? As the weather warms up this year you’ll want to be spending some time in the garden, but is your garden ready? Has your garden suffered from a harsh winter? Is it in general need of a makeover? First off you need to check if there has been any damage to your garden. Make sure you clean up shrubs and trees by pruning your branches. You might need to spend time cutting back dead leaves and branches so that new growth can take place so have a look around your garden for any damage, and keep an eye out for Leylandii conifers which are common casualties in storms as they are tall and leafy and catch the wind. If you do have tall conifers, it might be an idea to take the tops out once the weather improves. There are also likely be leaves, pine cones, fallen tree branches, and dog waste that may have ended up on your garden after the winter and not tending to it as much so you’ll have to do some clearing up. Just use a leaf rake to remove dead leaves and other things to allow the lawn to recover from the winter. Once you’re all cleaned up, you can start preparing for spring and summer, get spring fertilising to get your garden sorted for the summer as it will be here before you know it. You can start sewing the seeds of plants which need a longer growing season, such as geraniums (pelargoniums), begonias, antirrhinums, peppers and aubergines and now is the time to be ordering summer-flowering bulbs and seeds ready for planting. It’s also an excellent time to be hunting down and removing hibernating pests now as this will save you a lot of work in the coming months. Check for any snails, slugs and aphid colonies still sheltering and if you haven’t cleared the pots from last summer then do so now. Destroy any larvae that you find and be prepared to treat for vine weevils this year, using parasitic nematodes or chemical drenches. How is your grass looking after the winter months? Has there been water damage? If you have children and pets, then it’s essential that you get any issues like this seen to before they want to be playing out there every day. Once you have done the general maintenance, then it’s time to get creative and give your garden a facelift. Do the fences need painting? Is there any other work you do could do now, so it’s ready for the summer months? If you don’t have a patio but have room for it, then that can make a difference to your garden, give you a place for sitting and barbeqeuing during those long summer evenings and give your kids a different area to play on. It doesn’t have to be a concrete patio; you could look at wooden or coloured decking. Perhaps even raised decking which would add more space to your garden and make it look bigger. Depending on if you have children and how old they are, there are things you can easily add to the garden just for them to enjoy and keep them out of your way. If you don’t have the means to build a treehouse, then try building a DIY off the ground playhouse as it’s the next best thing. Children enjoy playing in their own little house, and it will surprise you how quickly and easily this playhouse comes together. While getting the supplies can be expensive if you have to purchase everything new at first, if you can get your hands on some reclaimed wood and boards that you can use, this one is not that expensive. If your kids are too old for that then perhaps you could build a climbing wall? Or with old pots and pans, you could create a music wall. There are many options to keep the kids entertained. Then to keep you entertained, once it’s looking clean and tidy, plants are planted, and seeds are sown, maybe you could have a look at some garden furniture or ornaments to brighten up your garden. There a plenty of things you can add to your yard, it could be a water feature, lights, statues or gnomes or you could even try a teepee or cosy garden den for somewhere else to relax and read your books during the summer months. 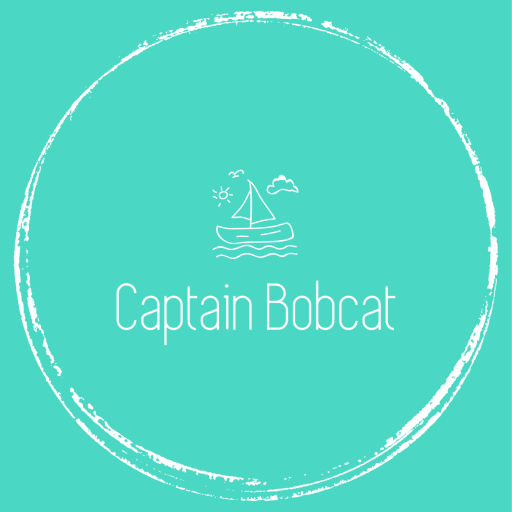 Hi, my name is Eva, mum of Captain Bobcat. I blog about parenting, eco-friendly and ethical lifestyle, travel, vegetarian recipes and our family adventures.